Oregon wine sails to another warm, trouble-free vintage and wonders, What’s up with that? Growing Pinot Noir on the edge of climatic viability has always been a proud part of Oregon’s wine identity, connecting the industry’s key product to Burgundy, the historic benchmark for Pinot quality. “It was crazy — we were done picking on Sept. 19,” said winemaker and co-president Alex Sokol Blosser, whose parents helped pioneer the Oregon industry when they established their Dundee Hills vineyard in the early 1970s. This vintage didn’t feature the unremitting heat of 2015, the warmest on record, but it got off to a fast start and didn’t let up. It also came after a toasty 2014, giving the industry an unprecedented three consecutive vintages with weather that could almost pass for Californian. As the 2014 and 2015 vintages unfolded, he had worried about the quality of the wines that would be produced, but they ended up winning wide praise. 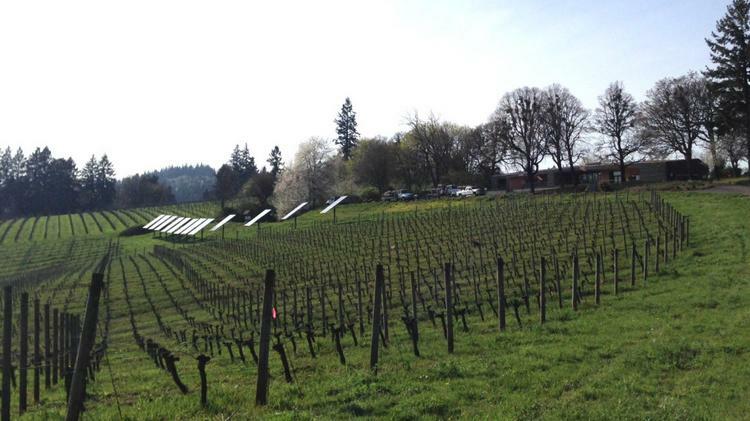 Sokol Blosser doesn’t believe the nature of the recent harvests can be attributed entirely to climate change: Changes in vineyard practices have likely played a role as well. Still, he said, there’s little doubt that a new reality is unfolding for the Oregon industry. Pete Danko covers energy, manufacturing and ports.